From log baskets and coal buckets to companion fireside sets. Companion set in silver, antique bronze. An ideal feature for a fireside that is sure to fit in with many interiors. 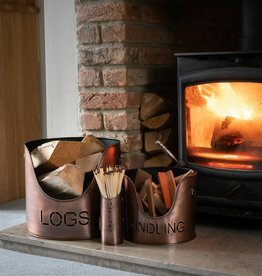 Log's & kindling buckets + matchstick holder in copper. This is a practical set for winter evenings finished in a stylish copper finish. This Firewood Log holder presents an ideal solution for neatly storing your firewood. 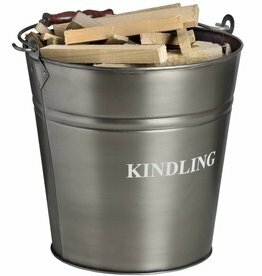 Log's & kindling buckets + matchstick holder in black. This is a practical set for winter evenings finished in a stylish black finish. A nice safe box to store matches. 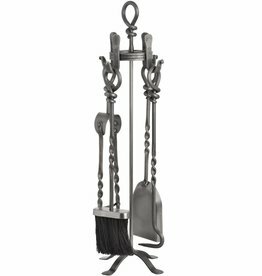 Companion set in antique pewter. Black brushed steel companion set. Keep your fire area tidy. 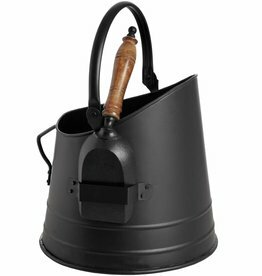 Black coal bucket with teak handle shovel. Keep your fire from spitting onto your floor. In an antique pewter finish with wooden handle. Check our other fireside accessories. Matchstick holder with 60 matches. The Matchstick holder is a high-quality stainless steel product. Antique pewter matchstick holder with 60 matches. 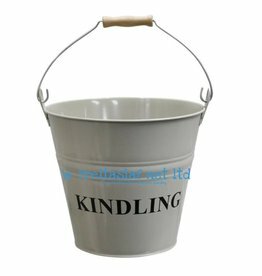 Kindling bucket in light grey. 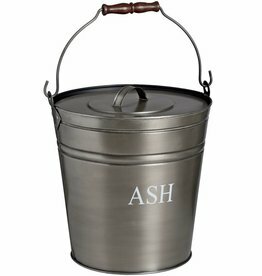 Steel kindling bucket. Wooden handle.